Ralph Vaughan Williams (RVW) (1872 – 1958) is the composer who best captures the elegiac nature of 20th Century English classical music. Unique works featuring flowing melodies, gorgeous harmonies, and with few exceptions (the war-like 4th and 6th Symphonies, among them), gentle flowing rhythms. Pieces like The Lark Ascending, Fantasia on a Theme by Thomas Tallis and the masterpiece on this recording, Serenade to Music, represent Vaughan Williams at his pastoral best. This recent release on the Chandos label features four beautiful works by RVW played by the Toronto Symphony Orchestra (TSO), conducted by its outgoing maestro, Peter Oundjian. The recording is a commemorative tribute to Oundjian featuring works closely associated with him during his career. The TSO was at a low point when Oundjian took over—they negotiated a good price for the incoming conductor to help with the orchestra’s standards and improve finances. Fourteen seasons later, countless initiatives and community outreaches, and very rigorous standards, Oundjian has produced outstanding results. What a deal for the orchestra! With a charming personality, wonderful musicianship, superb hires (many new principals, rank and file and a new concertmaster), combined with a refreshing rehearsal technique, I'd say the orchestra's North American ranking sits just behind the Big 5 and LA. Teng Li, the TSO’s brilliant principal viola (she just accepted the same position with the LA Phil) plays the important solo viola role in Flos Campi (1925)—for orchestra, solo viola and a wordless chorus. That Li compares to the wonderful recordings by stellar violists like Frederick Riddle and William Primrose, is very high praise. Her burnished tone is beautiful and captures the reverential nature of the piece. The Elmer Iseler Singers, among the world’s finest professional choirs, are equally wonderful. You can count this recording as definitive. RVW's Concerto in A minor for Oboe and Strings is a masterpiece and compares in quality with the great Oboe Concerto by Richard Strauss. It is one of RVW's most beloved pieces and has been recorded many times. The competition here is much stiffer. Again accompanied to perfection by Oundjian and the TSO, principal oboe Sarah Jeffrey weaves a lovely spell, undulating beautifully with its mournful and bucolic nature. Technically, she plays very well and anybody purchasing the CD for this work will not be disappointed. 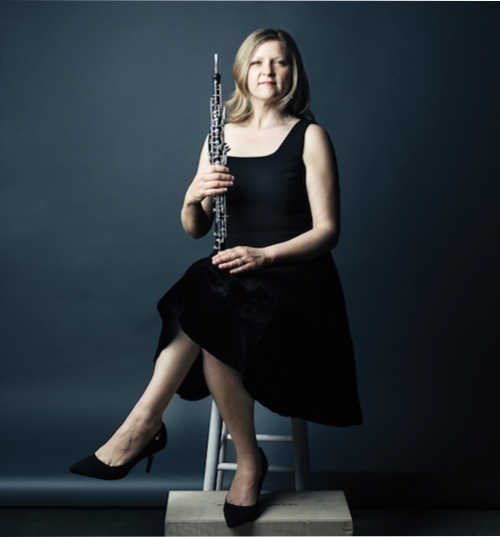 However, there are several incredible recordings of the Concerto with players who bring more urgency, technical fluency and drop dead gorgeous oboe sounds. My two favourites are by David Theodore (Royal Opera House Orchestra) with Jack Thomson and the LSO (1988, also on Chandos Records) pipped to top spot by a mesmerizing performance from French oboist, Maurice Bourgue (on Nimbus Records). My favourite work on this CD is Serenade to Music. Written in 1938 for Sir Henry Wood and 16 eminent British solo singers. RVW later revised it for solo violin and orchestra, and the version recorded here, for four solo voices and chorus. Rachmaninov was at the premiere and was so moved by its beauty he cried. Oundjian's direction of the orchestra is superb. The performance is filled with magical moments and a beautifully balanced orchestra—strings soar (excellent violin solo by concertmaster Jonathan Crow, and gorgeous fluting by new hire Kelly Zimba blended with beautiful clarinet tone from longtime principal Joaquin Valdepeñas). The recording is spectacular. You won't find better recorded RVW. That said, the vocal contributions cannot match a few of the recordings still available. Barbirolli's recording with The Philharmonia is wonderful, but Sir Adrian Boult (EMI 1970) with the London Philharmonic and 16 solo singers is absolutely magnificent. A great EMI with unforgettable solo contributions by Rodney Friend violin and a stable of great English singers, Nobody on record can match Norma Burrowes’ coloratura sweetness or Sheila Armstrong, John Noble, Alfreda Hodgson, Ian Partridge and many others in capturing RVW's original vision. 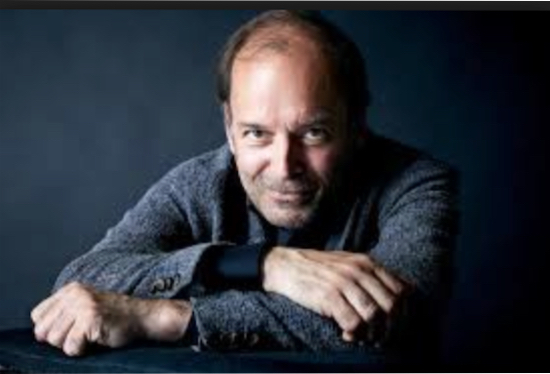 I remember pianist Louis Lortie from many years back in my home town of Montreal winning every competition he entered. I even sat in on some of his Chandos recordings with I Musici di Montreal and experienced his cultured, refined musicianship and consummate technique. Heard here many years later, his playing is still marvellous. The Piano Concerto in C Major receives an exceptional performance, but the work is substandard RVW. This CD is a wonderful testament to Peter Oundjian and his stewardship of the TSO. After 14 years, he transformed the orchestra and the musical life of the city. He's an orchestra builder and musician among the very best. It will be difficult for the home team to replace him.